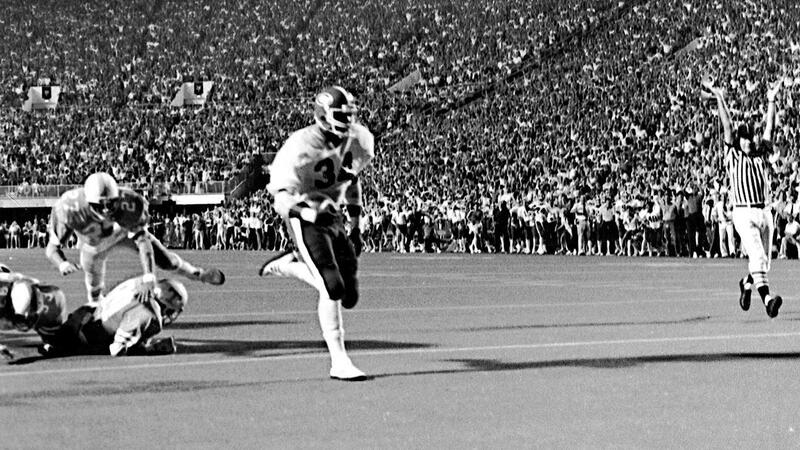 Thirty-five years ago, Georgia running back Herschel Walker ran over Tennessee’s Bill Bates, scoring his first touchdown and storming into college football lore. ven 35 years later, nobody can believe what they saw on Sept. 6, 1980. On that day, Georgia running back Herschel Walker and Tennessee safety Bill Bates met in one of the most famous collisions in college football history. Former teammates and coaches from both teams still shake their heads in disbelief at the shock of the moment -- and how it launched the legend of an all-time college football great. "It was just one of those plays that was meant to be," former Georgia offensive tackle Jeff Harper said. "Nobody knew who Herschel was and nobody had seen what he could do outside of us." But before he set any records, or ran through any opposing safeties, Walker -- Georgia's fourth-string running back entering that game -- first had to make it onto the field. "When we put in Herschel, it was like night and day," Bulldogs coach Vince Dooley said. "I don't think he knew where he was running, but one thing was for sure --- he was going somewhere in a hurry." As the Bulldogs and Volunteers prepare to play yet again at Neyland Stadium on Saturday -- with Bates' son, Dillon, suiting up for the Vols as a backup linebacker -- more than a dozen people remembered one of the most famous plays in college football history. 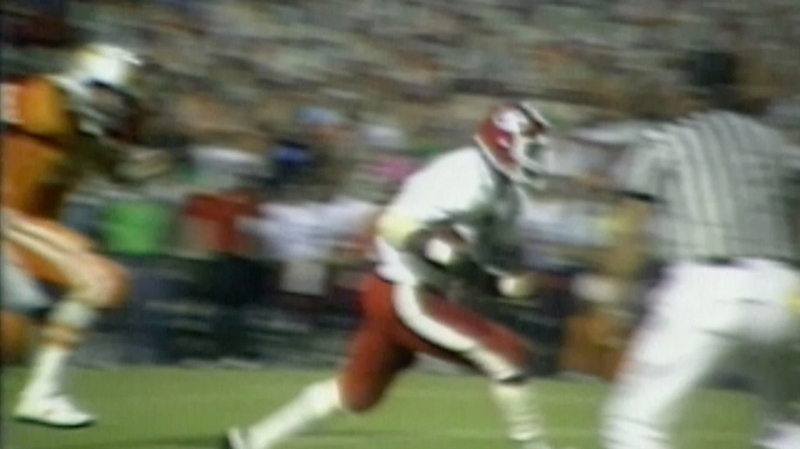 On Sept. 6, 1980, former Georgia running back Herschel Walker rushed for two touchdowns in his college debut, including this booming 16-yard run against Tennessee. Nearly every Division I team in the country recruited Walker, who ran for 6,137 yards with 86 touchdowns at Johnson County High School in tiny Wrightsville, Georgia (population: 2,350). In fact, the Bulldogs wanted him so badly that Dooley decided to add a women's track and field program a year ahead of schedule -- so they could offer a scholarship to Walker's sister, Veronica. She became the first woman to receive a scholarship in women's track at UGA in 1979. After signing day came and went without Walker's signature, Dooley ordered running backs coach Mike Cavan to travel to Wrightsville and remain there until Walker made a decision. Cavan and recruiting coordinator Steve Greer moved into a booster's cabin in the woods. They hunted birds with the local mailman's bird dogs in the morning, ate lunch with Walker at his high school in the afternoon and attended his basketball practices and games at night. On April 6, 1980, Walker finally put his name on a national letter of intent to play college football at Georgia. That closed one of the most tension-filled recruiting periods in Georgia football history. Vince Dooley, Georgia football coach, 1964-88, and athletic director, 1979-2004: You were allowed to have what we called bumps. If Herschel was walking down the hall of his school, Cavan was standing there so he'd see him. When Herschel was coming off the field after his games, Cavan would be standing there when he walked by. Cavan probably bumped him for three months, and a lot of other people did, too. Herschel Walker, Georgia running back from 1980-82, three-time All-American, 1982 Heisman Trophy winner: I was thinking about going to the military and that's why I waited so long to decide. I wanted to be a Marine, so I was trying to decide between going to college or joining the military. I was valedictorian of my high school and had accomplished so much in football and track that I thought I might want to try something else. But I knew my parents really wanted me to go to college. Mike Cavan, Georgia running backs coach, 1977-85: I never bothered Herschel when I was recruiting him. I just wanted him to know how important he was to us and to our program. ... I just wanted him to know that I was there and that he meant that much to our program. 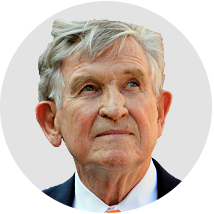 Johnny Majors, Tennessee coach, 1977-92: We never, in my memory, had much of a chance in recruiting Herschel Walker. Georgia had him locked up pretty fast. I know I didn't go visit him and he didn't come here for a visit. [Vols defensive coordinator] Bobby Jackson was one of the best recruiters I ever had, and if he couldn't get his foot in the door, then nobody could. 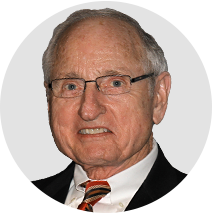 Vince Dooley: We were right in the middle of Title IX. ... The plan was for women's track and field to be added the next year. But given the situation, I decided women's track would be added a year earlier. Veronica was a tremendous athlete. I don't think Herschel beat her in a sprint until his junior year. I didn't see any sense in waiting another year when we had a great track athlete available who happened to have a relationship with someone we knew was very special. It was good common sense. Mike Cavan: I came home on Easter weekend. I was in Atlanta at my in-laws' house on Easter Sunday. We had our children doing an Easter egg hunt in the yard. It was before cell phones, so the phone rang inside the house. It was Steve Greer, who told me Herschel was ready to sign. I drove to Athens and jumped in the car with Steve and Coach Dooley. When it was finally over, my wife said, "I hope he never plays." She was tired of it. That summer, Walker didn't look anything like a program savior. In a high school all-star game in Atlanta, Walker had 13 carries for 55 yards, leaving Duke-bound Mark Heninger, a defensive tackle on the other team, unimpressed. "There's nothing I have against him, but when I hit him I expected more," Heninger told the Atlanta Constitution. "Mainly I'd heard so much about his speed, I expected to be trying to tackle a blur. That was not the case." During his first preseason, Georgia coaches and teammates were just as underwhelmed. In Walker's first practice, defensive lineman Eddie "Meat Cleaver" Weaver hit him so hard that Walker's helmet flew off his head. "Welcome," Dooley said as Walker picked himself up off the grass. Walker showed glimpses of what he'd ultimately become throughout the preseason, but he still opened the year buried on the depth chart behind Donnie McMickens, Carnie Norris and Matt Simon. 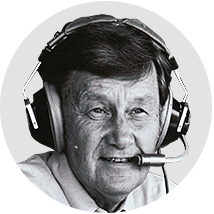 Larry Munson, late Georgia radio-play-by-play announcer (from his 2013 autobiography, "From Herschel to a Hobnail Boot: The Life and Times of Larry Munson"): I've told this story before, but Dooley told me that he was concerned that he might have a big, stiff fullback on his hands. That is what he said to me. Bill Bates, Tennessee safety, 1979-82: Before the game, there was talk about this other running back that Georgia had, but we knew Herschel wasn't going to start the game. We didn't know much about him at all. In the paper, they said he was a great running back. We didn't care. You read that stuff, but it doesn't determine what you do in the game. 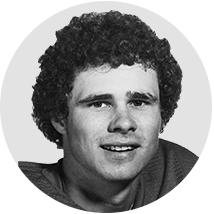 Joe Happe, Georgia center, 1978-81: We didn't have high expectations for Herschel, because he made so many mistakes in preseason. We just didn't expect much. He came in with such hype. When we put on the pads and started tackling each other, he missed assignments and fumbled the ball. We all thought: He's obviously very talented, but he's a freshman. He'll be good down the road, but not immediately. Donnie McMickens, Georgia running back, 1977-80: I worked hard in spring practice for a starting position. I took off in the summer and went home to see my daughter, Aisha, who was turning 1 year old. I got back for fall practice and suffered a rib injury. I kept trying to play, and Coach Dooley asked me if I was ready. I told him I was ready. I did earn the starting position outright. Eddie "Meat Cleaver" Weaver, late Georgia defensive lineman, 1978-81 (from the 2004 book, "What It Means to be a Bulldog" by Tony Barnhart): I would have to say that early on I was not impressed. Herschel just didn't do anything in practice to make him stand out. I had played with [former UGA player] Willie McClendon, and to me he set the standard for what a running back should be. I also played against [Joe] Cribbs and [James] Brooks at Auburn, and I thought both of them were better." Hugh Nall, Georgia center 1977-80: He was impressive in his testing -- the 40-yard dash and that kind of stuff. In actual practices, he made a few good runs, but didn't stand out. Vince Dooley: He had potential. I didn't think there was anything that was totally amazing about him. Coming out of the lowest classification [of high school football] in the state, it was an adjustment... He had to prove himself. 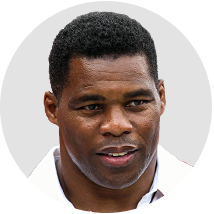 Herschel Walker: When my name was called, I wanted to be ready. Johnny Majors, who had previously coached at Pittsburgh from 1973-76: I'll tell you this: In 1976, we had a freshman at Pitt that was outstanding, and we started him in his first game. Ironically, Tony Dorsett started in his first game at Georgia. He ran for 76 yards on his first carry in practice at Pitt, and I started him in his first game. 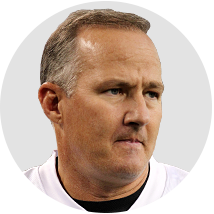 I wasn't afraid to play Dorsett, because I knew how good he was. I don't know if they were being conservative with Walker or what. A few days before Georgia played Tennessee at Neyland Stadium in Knoxville on Sept. 6, 1980, Walker told reporters he wasn't sure if he was quite ready to play college football. "I need a lot more moves," Walker said. "And I don't lean enough going into the line. I have a lot to learn." Walker's debut was not going well. When Cavan told Walker he was going into the game, he couldn't find his helmet. Walker later told reporters that he felt "almost paralyzed" while standing in the backfield. He ran for eight yards on his first two carries and had a nine-yard gain on a screen pass. On the next series, he gained 14 yards on three attempts. He was steady but unspectacular. At halftime, Cavan told offensive coordinator George Haffner that they had to start Walker at tailback in the second half and leave him in the game. "Coach Dooley wasn't in the room," Cavan said. "I told George Haffner that we weren't going to get any better unless we put Herschel in the game and left him in there." "OK, you go tell Coach Dooley," Haffner told him, aware of Dooley's aversion to playing freshmen. Cavan found Dooley in the locker room and made his case. It worked. When the Bulldogs returned to the field for the second half, Walker was their starting tailback. Buck Belue, Georgia quarterback, 1978-81: I've always been a pretty good eavesdropper, and I'll never forget the conversation I overheard at halftime. Coach Cavan was telling Coach Dooley, "I know you don't like to play freshmen, but he's got to get in the game now. The other running backs aren't doing anything." Vince Dooley: I did not think he'd earned the right to start, but he'd earned the right to see what he could do. Mike Cavan: In Coach Dooley's wisdom, he was smart not to start him because there was so much pressure on him. In my youth and exuberance, I probably would've thrown him right in there. At halftime, though, there was no question about what we had to do. Thank goodness Coach Dooley agreed to it. Herschel was the only chance we had. We had to get him in the ballgame. Herschel Walker: I'm not sure [Dooley] thought I was ready. I think the crowd chanting my name might have had something to do with it. 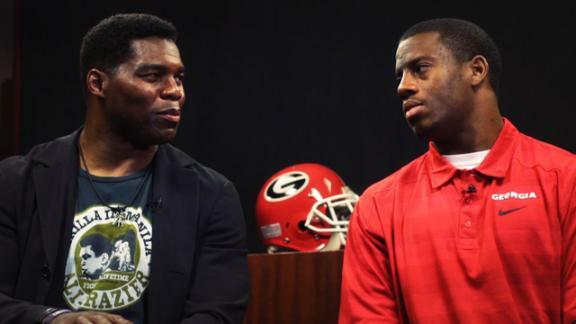 Georgia legend Herschel Walker and current star RB Nick Chubb sit down to discuss the rich tradition on the ground in Athens. Down 15-2 in the third quarter, Georgia drove to the Tennessee 16. "We hand it off to Herschel, there's a hole! Five...10...12... He's running over people! Oh, you Herschel Walker! My God Almighty, he ran right through two men! Herschel ran right over two men! They had him dead away inside the 9! Herschel Walker went 16 yards! He drove right over orange shirts just driving and running with those big thighs. My God, a freshman! "You think this is big, right here? Do you realize what has happened in this thing tonight?" Vince Dooley: Herschel started to the right side and cut back to the left, where it was wide open. He saw the daylight, and by the time he got to Bates, he was running full speed. Bates kind of squatted and was off-balance. He might have stopped a lot of running backs, but he wasn't going to stop Herschel in that situation. 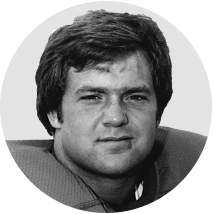 Jeff Harper, Georgia offensive lineman, 1977-1980: It was a play that was originally designed to go between the right guard and right tackle. Herschel cut back. ... He had a clean look to the end zone, except for Bill. The rest is history. Bill Bates: We started blitzing, because we didn't think (Walker) would be able to pick them up. We had a blitz from one of the sides. He cut back to the left, and our coaches always told us to break down for a tackle. So I broke down. I looked into Herschel's eyes and realized he wasn't going to make a move. The next thing I knew, I had footprints on my chest and turned around and saw No. 34 running into the end zone for a touchdown. It was a big deal and something I'll always remember. Herschel Walker: As I started my footwork, I saw a great hole open up the left. People have been giving me so much credit for running over Bates, but my offensive line opened the hole so much I was running at full speed when I got to him. Bill has always gotten a lot of heat for it, but he is an incredible football player. As I started to run toward him and accelerated, his foot slipped. He lowered his head right before I got to him. Everybody wants to give me 15 minutes of fame, but it was God's grace that the hole opened and his foot slipped and not mine. I've been blessed. Johnny Majors: I don't know if Bill lost his footing or not. When Herschel ran over him, Bill was kind of in a squatting position. It would have been hard for anybody to knock Herschel back. Herschel was so powerful, you had to go for his legs. I don't know if Bill went for his waist or what. Maybe he should have been a little lower and gone for his feet. Larry Munson: Yeah, I guess you could say that I got pretty excited that night. I remember yelling, 'My God Almighty, he ran right through two men!' Later on, when I heard the tape, I knew I had said, 'My God, a freshman!' I didn't think anything about it at the time, because to me that was just part of the ballgame. I just blurted out what I felt at the time. But man, did I hear from the church crowd! Jimmy Sexton, sports agent, who was a high school senior watching the play from the stands at Neyland Stadium: I thought Bates was in great position to make the tackle. ... I thought if Herschel was going to get through that tackle, he was going to have to run through him -- and that's what he did. Hugh Nall: Bates filled the gap on the backside. When he filled it, he didn't realize what he was getting into, evidently. Buck Belue: I just remember them shifting right before the play. The defensive linemen kind of waited to the last minute to confuse the blocking. It was the worst thing they could have done. It looked like the parting of the seas. Bates never had a chance. It looked like the walls opened, and Herschel's got a full gallop going into Bates, who was trying to make the tackle. It was just such a huge hole. I saw Bates waiting there, and he broke down in his tackling stance. It was like, "Look out!" Donnie McMickens: That was the end of my running back career. Mike Cavan: He took the straightest line to the end zone -- and that was right through Bates. Jim Blakewood, Georgia guard 1978-81: It was beautiful, and it still is. I never get tired of watching it. 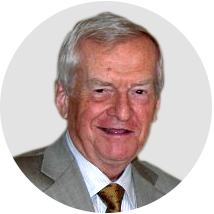 John Ward, Tennessee radio play-by-play announcer 1968-99: I'll never forget the impact. I was looking to my right down to the field. I will never forget it -- it was just bang! I remember turning to Bill Anderson, who was my color man, and saying, "He's a little different." Bill said, "He's a lot different." Loran Smith, Georgia radio sideline reporter 1974-2010 and current radio pre-game host: There was a lot of talk about Herschel being a big, stiff back from Class A. After the play, Mike Cavan, who recruited him, looked at me and said, "I don't want to hear anymore blankety-blank about Class A football." Walker also scored on a nine-yard run in the fourth quarter, and the Bulldogs went on to win, 16-15. Georgia then proceeded to rattle off 12 straight wins en route to the national title. Walker finished his first college season with 1,616 yards, an NCAA freshman record, and ran for 150 yards and two touchdowns in Georgia's 17-10 win over Notre Dame in the Sugar Bowl. Before leaving Georgia after his junior season in 1982, Walker broke 11 NCAA, 16 SEC and 41 school records. 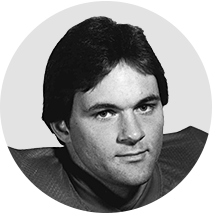 With Walker in the backfield, the Bulldogs won all but three of their 33 regular-season games from 1980-82. Georgia won SEC championships in each of his three seasons; it has won only two since. "Nobody in that day and time -- or in today's date and time for that matter -- was a one-on-one matchup for Herschel," said Bobby Jackson, Tennessee's defensive coordinator from 1980-82. "He was one of the greatest, if not the greatest, that ever played the game." 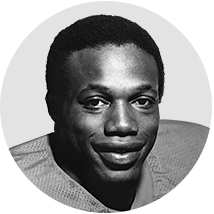 Walker left Georgia on Feb. 25, 1983, when he signed an $8 million contract with the New Jersey Generals of the fledgling United States Football League. He joined the Dallas Cowboys in 1986, where he was reunited with Bates. 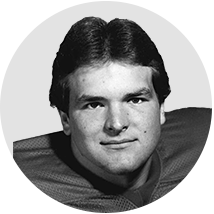 An undrafted free agent, Bates signed with the Cowboys in 1983 and played 15 seasons for them. 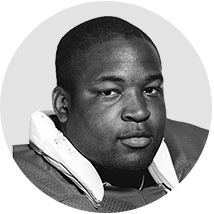 Bates was a Pro Bowl selection in 1994 and won three Super Bowl championships with the Cowboys. During coach Jimmy Johnson's first season with the Cowboys, in 1989, Bates wanted to show him how tough of a player he was. So he tackled Walker in a non-tackling drill. Nine years after that Georgia-Tennessee game, Bates was still trying to even the score. Bill Bates: There I am out there in the first practice with Herschel, and we're in helmets only. I was trying to kill Herschel. Jimmy started screaming, "Wait a second. We're not tackling! We're not tackling!" I wanted Jimmy to know that I was tough and remembered it. I just vowed after the play that I would work my tail off to never let it happen again. It pushed me to be better, bigger and stronger so it wouldn't happen again. Things happen in football games. It's like life: Things happen, and you've got to move on and learn from them. I feel like I did a good job of learning from them. It forced me to be a better player. Buck Belue: Isn't it a shame? It sort of cheats [Bates], because he was such a good player. Herschel told me that when they were teammates in Dallas, Bates always tried to take cheap shots at him. Whenever Bates had a chance to thump him, he thumped him. He was just stuck in the wrong spot at the wrong time. Herschel Walker: Bill was always trying to get me back. Bill is a tough guy. That's what people have to realize -- Bill was one of the toughest and smartest players to ever play in the NFL. Johnny Majors: Bill was one of the best nickel players that ever played ... He was one of John Madden's favorite players. He was one of the best safeties in the game, and he was a great college player. 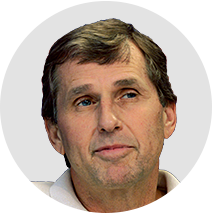 Jim Blakewood: It's football. Anybody who has ever played football has had bad plays. His just happened to make Georgia highlight film for 35 years. Mike Cavan: Hey, I don't feel bad for Bates. They're still talking about him. It's good if they're talking about you, whether it's good or bad. I don't know if they'd still be talking about him if Herschel hadn't run him over. He's gotten a lot of mileage out of it. Vince Dooley: I think Bates has taken it in good humor. Herschel took up for him by pointing out that he caught him when he was a little off-balance and wasn't ready. Herschel helped to clear the air for him. It was a fact he was off-balance, but nobody would have listened if Herschel didn't say it. That's the way Herschel is. He didn't brag about running him over. 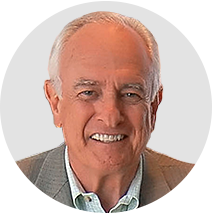 Loran Smith: If we'd lost a game that year, nobody would probably remember it. But every Georgia fan talks about how Herschel Walker ran over Bill Bates. It's like a household name. It put him in the same company as Bill Buckner, which is unfortunate. 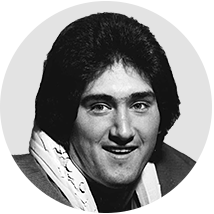 We shouldn't remember Bill Buckner for letting a ball go through his legs, and we shouldn't remember Bill Bates for one missed tackle. Bill Bates: It's OK. I do have three Super Bowl rings, and I don't think Herschel has one. How many people can say that? It's just one of those things. That's my answer to people who ask me about it. It forced me and pushed me to be the best I could be. Herschel Walker did so many great things after that game and season. I'm very honored to call him my friend. He ran over a lot of other guys. I wasn't the only one. Herschel Walker: Bill slipped and I ran him over. I wouldn't want to do it again. If we ran the play again, I know he'd be ready. 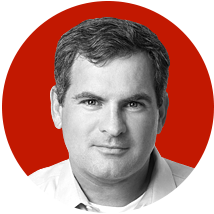 Mark SchlabachSchlabach is a senior college football writer and has been with ESPN since 2006. A former staff writer at the Atlanta Journal-Constitution and Washington Post, he's the co-author of six New York Times best-sellers. He is a 1996 graduate of the University of Georgia.